ABC has filled out the main cast members for its upcoming Inhumans series. Entertainment Weekly reports that Graceland star Serinda Swan has joined the upcoming Marvel show as Medusa, the wife of Attilan ruler Black Bolt, who the network announced Tuesday would be played by Hell on Wheels star Anson Mount. The two are joined by Game of Thrones' Iwan Rheon, who will play Black Bolt's ambitious brother Maximus. "Serinda empowers Medusa's regal glory and still maintains a relatability that synced perfectly with the character," Marvel TV head and executive producer Jeph Loeb said in a statement. "She is nothing short of wonderful." 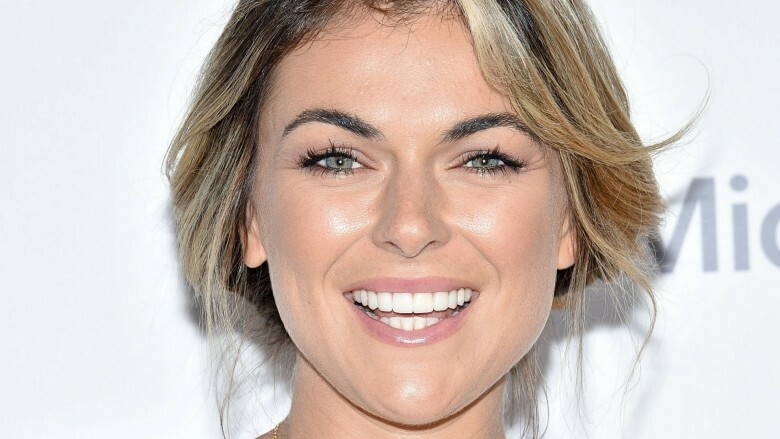 "Serinda Swan brings a regal elegance, as well as a sense of great inner strength and fierce determination, to the role of Medusa," added showrunner Scott Buck. "I couldn't be happier to have her as our Queen of Attilan." According to EW, Medusa, who has superpowered hair that remains in her control even after being cut off, is a fierce warrior and Black Bolt's most trusted advisor. Swan already has experience playing a superhero in the later seasons of The CW's Smallville, where she played the sorceress Zatanna Zatara. She has also appeared in Breakout Kings, Percy Jackson & the Olympians: The Lightning Thief, and Recoil. The Inhumans were created by Marvel legends Stan Lee and Jack Kirby in 1965. While specific plot details for the TV series are unknown, the synopsis says it will "explore the never-before-told epic adventure of Black Bolt and the royal family." The first two episodes of the show will premiere on IMAX in September of 2017 before the show moves to ABC for the remainder of its eight-episode run. In the meantime, see why Black Bolt (and other superheroes) would actually have a pretty miserable life.